The Fireball Racecar will be singing a new tune with a new Proline Racing 481x engine as it hits the track and the streets in early 2017. 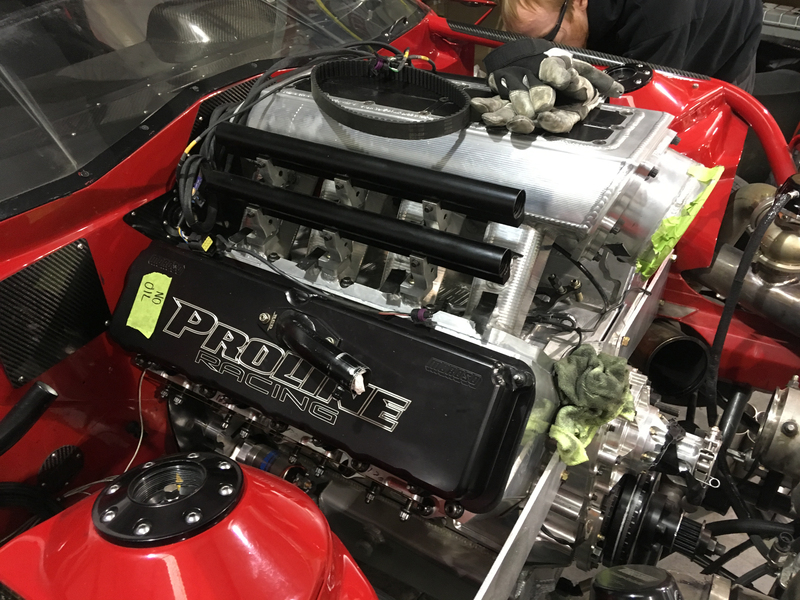 “We decided to switch from the Proline wedge engine to the Proline 481x engine after losing the rocker arm and having to forfeit the race to James Goad’s Reaper at the Winter Meltdown No Prep Shootout last month,” said Russ Harrison, co-owner of Fireball Racing. The Fireball gapped Kye Kelley in the first round at the Winter Meltdown, but the wedge engine didn’t hold up during the burnout preceding the race against the Reaper in the second round. The sting of the last forfeit initiated Fireball race team’s search for a more durable engine. While the wedge engine has helped the Fireball Camaro win its fair share of races, including the one against Tom Bailey’s Sick Seconds’ Camaro on NBC Sports’ Grudge Race, it was also temperamental. The one-of-a-kind engine became more high maintenance after being converted to alcohol. “We needed something more durable, less fickle and easier to work on between passes,” said Harrison. The Proline 481x engine meets the race team’s checklist and adds 300 to 500 more horsepower and 30 to 60 pounds of boost to the high-powered Fireball Camaro. The new engine has also added something priceless – confidence. The team is more confident in the 481x’s ability to get them down the track and through to the next race. 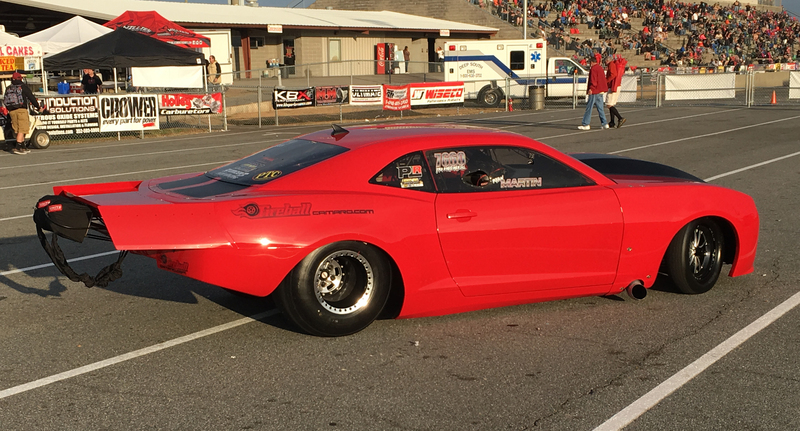 The Fireball Camaro tested the Proline 481x for the first time at the U.S. Street Nationals in Bradenton, Florida last week. “The engine is an animal!” Martin proclaimed. Though Fireball lost in the second round when the car pulled a monster power wheelie mid-track, the team is confident in its ability to harness the power of the new engine with some slight tweaking and fine tuning before their appearance at Lights Out 8 at South Georgia Motorsports Park in mid-February. great news, i will be watching, hope things get cheaper. Ryan consistently spanks Cheif. His is undoubtedly faster time after time. Go back to school little Indian! !